Woke up this morning, as usual, around 6:30am. Today that’s actually at 7:30am with Spring forward. Liam slept in a little later. Great, this whole time change is really gonna throw him off his schedule. Damn you Spring Forward! Oh, who am I kidding! 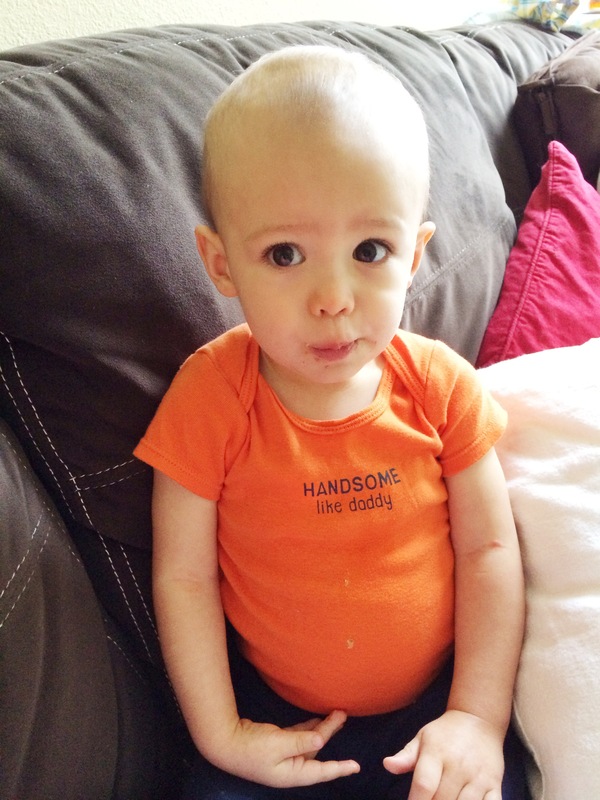 With this little guy, it changes daily so not going to stress out about it too much, until…. I opened the fridge and noticed the gallon of milk was ALL GONE!!! Someone is about to be crabby pants in 5.2 seconds if he doesn’t get his milk. Damit! I forgot to buy a gallon yesterday evening like I said I was gonna do. Instead Tim and I vegged out on the couch to watch American Idol and Vikings. I know random right? Anyways, back to this morning, I decided to act like I was not reaching in for the milk, but this 17 month old is pretty damn smart. I closed the fridge and BOOM there he was, standing, looking at me straight in the eyes. You can just see he was ready to chug his favorite drink in the world. I mean Liam drinks his milk like there’s a shortage in California. He knew exactly what was going on. I quickly snatched him up and strapped him into the stroller. Thank God we have a store next door to us! Did he scream and cry the entire way? YES. Did he kick off his bear slippers in the store? YES. Did he throw his toys on the street? YES. And did they have whole milk? Noooope!! They ran out!! WTF?!! Low fat milk it is! We hurried home. 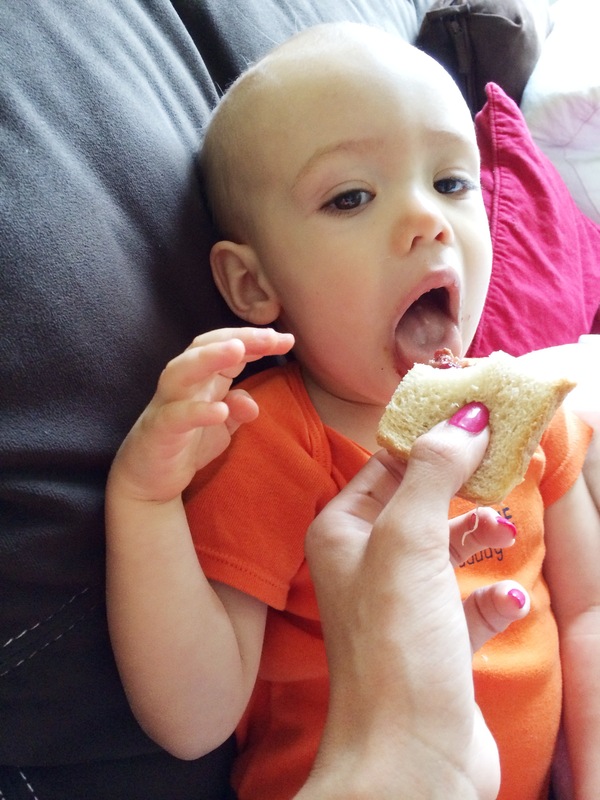 If anyone knows the sound of a baby crying nonstop… WOW! I wanted to pull every strand of hair on my head, especially in the elevator up to our place on the 3rd floor. The slowest elevator I’ve ever been in. We finally got home and I quickly filled up his sippy cup. In 5.2 seconds I had a happy little guy. And when he’s happy, I’m happy. 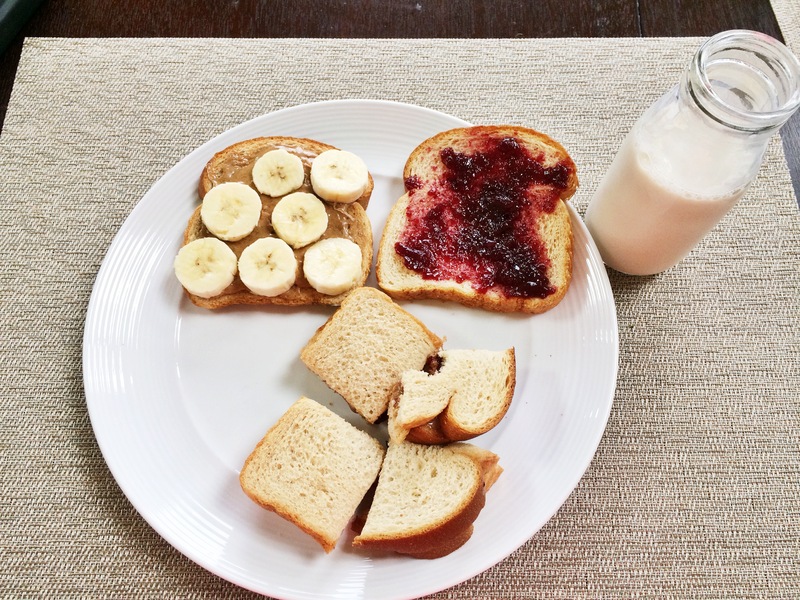 So I did what any other awesome mother would do… I made the best peanut butter jelly sandwiches for Liam and myself. 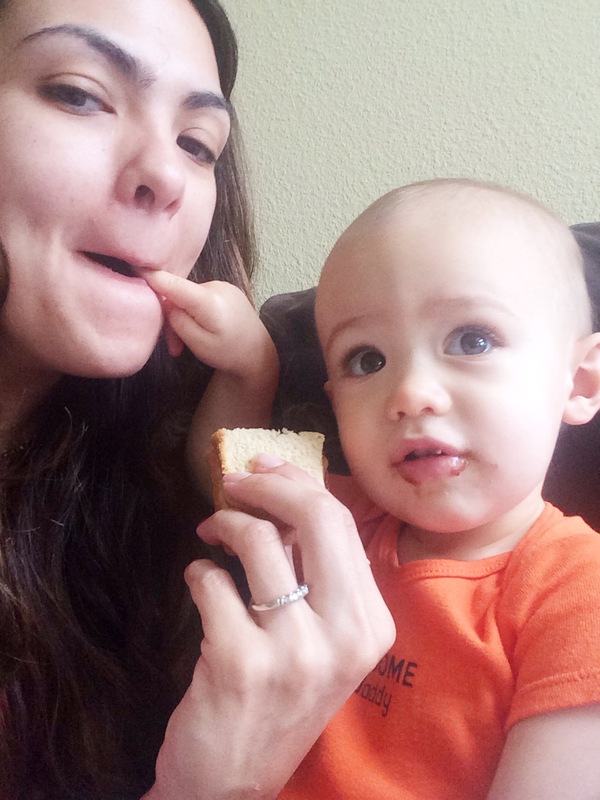 And we ate on the couch watching his favorite toons. Your welcome Liam.